If you are a high school teacher you know that most of your students have a Facebook account. You know that they are more likely to be on Facebook than email! You know that you would rather not know what exactly they are posting on their personal Facebook accounts. You also know there is a lot of controversy over whether teachers should have Facebook accounts (and if they should "friend" their students). However, future employers and professionals may find ways to access students' 5+ year old Facebook accounts. As a result, educators could take advantage of students interest in Facebook by integrating the tool into learning and teaching studnets how to set up an appropriate profile and post on Facebook without harming their professional futures. For example Larry Liu is a high school English teacher who has been using Facebook to communicate with his students. He set up his own classroom teacher Facebook page and posts assignments, homework help, and reminders. In addition Larry allows students to post projects to the Facebook page. For example he asks his students to find examples of everyday psychology in their lives outside of school. His students can use their cell phones to take pictures or videos and send them to his Facebook page. He also talked with his students about "cleaning up" their profiles, pictures, and posts so they were appropriate for adults to view. 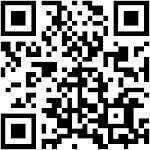 Why I am talking about a social networking site on a cell phones in learning blog? 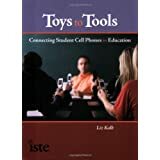 Because Facebook has SMS texting and photo/video posting functions that could easily be used to collect and share data in classroom assignments. For example, every Facebook page has a "subscribe via SMS" button underneath the profile picture. 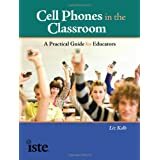 Therefore, if the classroom teacher creates a facebook page for the classroom, every student can subscribe to the posts, images, and videos via cell phone. Teachers can use the Facebook page to communicate about classroom information, at the same time they can also use the page as a place for students to post and share research that they collect. This can easily be done by having the studnets tag (with their teacher's account Facebook name) their photos or videos so they directly post in the teacher's account. Thus sharing the research with all the studnets in the class, at the same time giving the teacher utlimate control of the account (since it is their own). 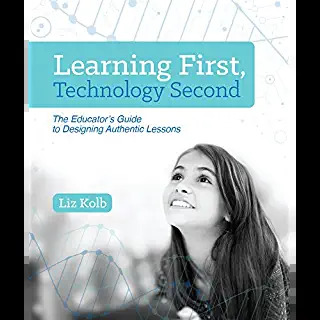 In addition, by using Facebook as a learning tool, it gives teachers an opportunity to talk with their students about how to create an appropriate profile and how to "clean up" their profiles so they are appropriate for the teacher or their parents' to view. Students need to understand digital safety on Facebook and other social networking sites. Using Facebook for an educative purpose may be a smart way to start social networking education at the high school level. I have a personal FB profile that I do not friend students with. Some try, but I just explain to them that I need some privacy for my personal life. Say I set up a separate, teacher-stuff-only 'Miss Nowak' page. Q: Would my students have to friend that account to participate? Or could I make it open to the world and allow them to see it, and post to it, without having to friend them? I ask because I'm sure many would resist friending a teacher's profile, and I would be uncomfortable requiring them to, and I doubt I even have that authority. Q: Could all of this be accomplished with a FB "Group" page? Yes, you could open it up so that students could post without joining. But I know Larry asked his students to clean up their profiles and they seemed very willing to do so. You could do this with the "groups" page, however, group posts do not appear in the general News Feed (so if the purpose is to communicate easily and often, groups is not the best option). What about making separate FB pages for separate projects? Say the class is asked to log carbon usage or log where the food in their meals comes from. So that the FB page becomes kind of like a group blog. Any advantage, as far as you can see? We've asked our teachers to avoid friending students. We do however encourage teachers to create group FB pages for their courses and for communicating with students in appropriate school related channels. Our school has its own FB and twitter that we use for communication purposes. I know it is frowned upon for teachers to "friend" students, so I am a bit leary of Facebook, why not just use a webpage? Also how do you prevent inappropriate usage? How was the teacher able to convince his district to unblock Facebook? Our system has all of those sites blocked, we found students harass others immensely through those types of sites. Really good questions by Anony. I think the difference between using Facebook and a basic webpage is that students are already excited and engaged with using Facebook. Social Networks are going to be vital for the 21st Century workforce (webpages--not so much). Students do use Facebook inappropriately, but some of that is due to their lack of knowledge and understanding about how to create appropriate profiles and communicate. Also they lack understanding of the legal ramifications of harassing and bullying online. This could be a great opportunity for teachers to educate on these topics. As for Larry, his school does block FB...but he uses it for homework and outside of the school day communication (such as announcements and project postings). 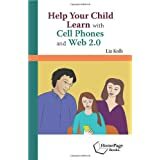 Some of his students can access FB in school on their cell phones because they can bypass the wireless school network and use their phone service providers' connection. So from my understanding the fb group page is a good way to keep students updated on classroom information and a place for students to submit research/assignments without having to be your "friend"? But isn't there more versatility with having the students become your "friend"? Like every time you update your status, the students can receive a text message instantly. I can see where a teacher fb account can be beneficial. Do you think fb will ever more fully develop an environment that is more teacher/student friendly? Like a way for a teacher to have a teacher profile and have applications that will support more interactive learning capabilities? Ronda - If you make a Page and students "Become a Fan" of your Page, they will see the status updates from your page in their news feed. This solution has worked out quite well for me. I don't really want students to be able to see my profile updates about my personal life, which they would see if I friended them. You can see my page here if you like. Something perfect as well as specifically designed for this type of Web 2.0 educational collaboration is 9thPeriod. Our global academic network and Facebook Application, Class Connector allows students and educators from around the world to build virtual classrooms as well as connect with others taking the same classes. As a side note, it is against Facebook policy to maintain more than one Facebook account. Groups and fan pages are one thing, but you are not supposed to have separate accounts. Great post, management in schools is very important with todays social networks. I think that piping up the twitter feed is a great idea where students will get the latest updates about the teaching.. nice one..
Why is it that we trust teachers to be in the same room with a student and not be inappropriate, but when then not trust them to be 'friends' with them online? My FB profile is an extension of who I am in the classroom. I do not put inappropriate comments, pictures, personal stuff or other items that students and the world should not see online, so why is it inappropriate to have a conversation (recorded and available for others to see) with a student? I have many of our students here at our school as friends. Not only does it allow me to contact them quickly, they can contact me, ask questions and I can see a bit about the atmosphere of the school with things they talk about. I can also talk with specific students who are inappropriate online or have other online social blunders. If I wasn't doing that, who would? Now this is really interesting isnt it folks right?? Mikes, The Spy Bubble Dude.